I went home knowing I was probably the healthiest I'd ever been in my life. Long before the phrase ‘spa break’ or ‘spa resort’ entered the lexicon, Brits looking to lose weight and escape for some relaxation and ‘me time’ used to go to ‘health farms’ – surely one of the strangest descriptions imaginable for such a break. In the bad old days, health farms were the only option. Today, your choice of healthy or invigorating (or both) breaks is legion. 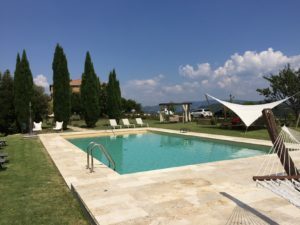 And, whilst the occasional weekend at a UK luxury hotel and spa, or a dedicated spa resort, is considered fairly normal – particularly if you lead a busy, stressful life – more and more people are realising that a quick weekend or ‘break’ only really scratches the surface, as it does not genuinely give you time to fully relax, lose weight or tone up. Furthermore, a health farm break in the UK does not guarantee one of the essential ingredients of a perfect holiday: sunshine. That’s why there has been such remarkable growth in popularity for short haul (flights under a couple of hours) healthy holidays over the past decade. 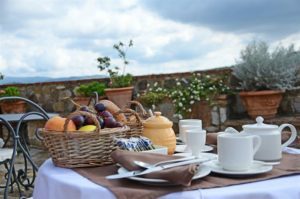 These days they’re known as wellness holidays or detox retreats, for example, rather than the rather old fashioned moniker of health farms or health farm breaks. Leading the way since 2003, and now generally regarded as THE name in wellness and detox holidays, is in:spa retreats. Its stunning venues in Marrakech, Andalucia and the South of France are well known for their highly regarded week-long rejuvenating and re-energising retreats. Guests all proclaim how amazing it is what just one week can do to your frame of mind, your waistline and your energy levels. The well heeled guests, many of whom fly out every year for their annual MOT, as they call it, regard it as an essential antidote to their busy lives and the stresses and strains it puts on both mind and spirit. To be a success, the retreats also need to be great fun (not something you would have associated with a stay at a health farm!). The team of in:spa experts (hosts, chefs, nutritionists, hiking guides, yoga teachers, personal trainers and massage therapists) are there to help and guide you, but also to make sure that all guests derive maximum benefits from their week too. The combination of these bright, personable experts and the wonderful cosmopolitan mix of guests ensure that in:spa retreats are fun and memorable – and that you return home lightly tanned, and looking and feeling amazing.